information about transpersonal art therapy seminars and other activities for our EUROTAS website. Let us further the development of this important branch of psychotherapy together! Arts Therapy uses the language of various kinds of art in order to stimulate an individual’s self-discovery. It is also a link between a person’s inner, subjective world and outer, objective reality. 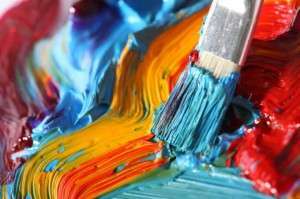 The notion of Arts Therapy appeared relatively late (in the mid-20th century), however a therapeutic function of various arts has been used in healing for thousands of years. Its origins are to be found in the shaman’s rituals where drawings, symbols, music, dance, and theatrical elements were of great importance. Contemporary art and Art Therapy are separate branches having one major difference – in art it is the final result that matters, and in art therapy the most important part is the working process itself. Therefore, no preliminary knowledge in any of the arts is required to participate in Arts Therapy.